Do you want to learn more about horses? Do you want to improve your riding skills? Do you want to be more confident on, or around horses? Or do you simply just want to go riding? If you want any of these things – I can help. I have grown up around horses and spent more than 20 years riding, competing, training and generally having fun with horses. I have competed to high levels in New Zealand and also represented the NZ Pony Club Association in the 1997 Inter-Pacific Team to Hong Kong and China. 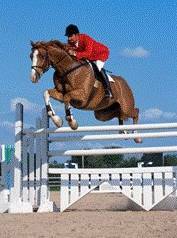 I am currently competing in show jumping events in the Auckland area and we often go hunting, trekking and beach riding. 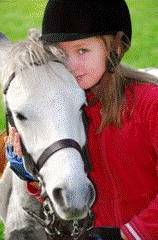 I have plenty of instructing experience – mainly through the Ahuroa Pony Club. I have instructed many people of varying ages, levels, confidence and experience. I have also led numerous successful treks around our farm (with very inexperienced people) and I really love to see people happy and having fun with horses. I am friendly, patient, communicate well and like to have fun! I can help you gain confidence riding horses and when handling them as well. I think horses are amazing animals, with a huge ability to learn and adapt. I have a huge respect for them and firmly believe that there is a special bond that can be created between human and horse with the right knowledge. This leads to many fun and rewarding experiences for both horses and their riders. I am available for lessons most week days and some weekends. I am based on a farm in Wech Access, Ahuroa, where we have riding facilities (stables, arena, jumps etc), and lots of room to go for longer farm rides. 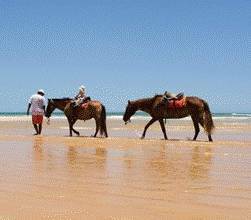 If you don’t have a horse, no problems, we are likely to have a suitable one for you to ride here. Or alternatively, I can come to you. Note: Longer timeslots and group concessions are also available.